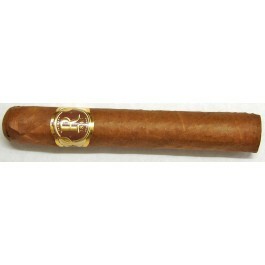 Maybe the most affordable worthwhile robusto which introduce to the class of this kind. Much better than the Choix suprême of Rey Del Mundo, quite bland, the Famosos is a clean and aromatic taste typical of what could be the Robaina mark, where the ligero is well balanced with the seco on purpose to allow an easy day smoke for any time. The perfect first smoke of the morning or to accompany a coffee. I purchased this box of Vegas Robaina from Cigar Terminal with a 6/10 date code. I was pleasantly surprised by this Cuban cigar. Beautiful wrapper with a slight box press. Burning characteristics are excellent. I pulled a 2 inch ash before let it go. The cigar starts off with mild spice but soon the spice becomes the major taste. Sneaky strong, treat with respect. Very enjoyable!